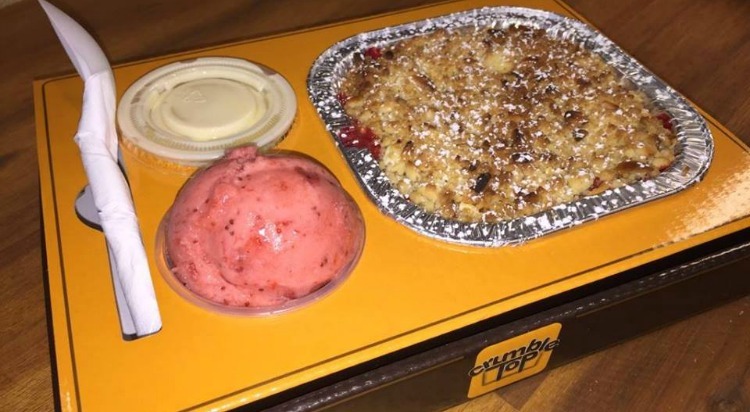 If you’re a lover of all things crumble (we just love the sensational combination of warm and cold), we have a new venue for you to try: Crumble Top in Newtown, the dessert bar where you can ‘create your own’. The menu is seasonal and is the work of chef Luke Stack (former employee of Gordon Ramsay), who returned to Australia ready to delight Sydney-siders tastebuds. Make your Thursdays crumbly with “Crazy Crumble Day” where you can get a FREE milkshake (they do darn good milkshakes) with any CRUMBLE combo before 7pm. With unusual flavours from spicy to sweet and creamy- you’re bound to love your Crumble creation. If your mouth is watering but you’re not in Newtown, try UberEats, Deliveroo or MenuLog- the perfect after-dinner treat! They’ve also got some great alternative kids options, like gorgeously decorated cakes, muffins and ice cream cones, so take your kids when you indulge in this home-style delight.